The Senate Judiciary Committee unanimously amended and moved a bill that redirects $102 million in filing fees collected by the clerks of the court to a special court trust fund established during the January Special Session. Sen. Pruitt SB 2108, filed by Sen. Ken Pruitt, R-Port St. Lucie, also was amended to remove provisions that would have transferred various clerk functions to the courts and removed a call for a study of clerk functions. The bill still contains language calling for legislative oversight of clerks’ court-related functions for budget purposes. “Contrary to what’s being spread around the Capitol and around this state, I want to assure you that this is not a money grab by the courts,” Pruitt told those crowded into the Judiciary Committee meeting room on March 18. In meetings during the first few weeks of this year’s Regular Session, legislators have been hearing a lot of debate on whether the Legislature should assume budgetary oversight of clerk functions, which are currently controlled by the Florida Clerks of Court Operations Corporation. The clerks now collect over $500 million annually and can establish new positions, set salaries, and increase their budgets, all without legislative oversight. The Supreme Court, supported by the Bar, has been seeking more funding to help ease the courts’ budget shortfalls. A larger share of filing fees collected by the clerks is considered by many to be the most logical source. Sarasota County Clerk of Court Karen Rushing told the committee while the clerks support Sen. Pruitt’s desire for more transparency and accountability, “We believe there is a better alternative to accomplishing this other than having the 67 clerks in the state appropriations process. “We are committed to working with Sen. Pruitt and the other interested parties with a desire to reach a mutual understanding as the bill goes forward,” said Rushing, a past president of the clerks’ association. The $102 million the bill would send to the court trust fund represents fees that are now collected by clerks and remitted to the state Department of Revenue for general state expenditures. It did not affect fees and costs collected by clerks and retained by them to pay their expenses. The bill also removed from the court’s trust fund fines that had been assigned to it during the January special session. Judges had been concerned that sending fines to the court trust fund would create the appearance of cash register justice. The Senate bill is scheduled to be heard in four more committees, while its House counterpart had not been heard in committee as this News went to press. 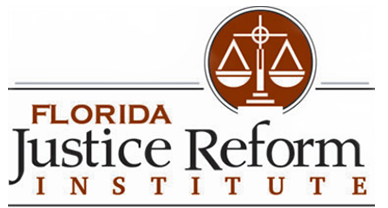 Ongoing, continually updated information on court funding issues is now available on the home page of The Florida Bar’s Web site, or can be accessed directly at www.floridabar.org/fundingfloridacourts. • Are the courts trying to grab power from the clerks? • How can the clerks justify paying bonuses when the courts are laying off employees? • And what about 41 of 67 clerks using the same collections agency owned by the wife of the president of the clerks’ association? State court officials and representatives of the court clerks were grilled by committee members in the information-only meeting. The committee was not hearing HB 1121, the House counterpart to Pruitt’s bill filed by Rep. Ellyn Bogdanoff, R-Ft. Lauderdale. But committee members quizzed both sides in a thorough review of their procedures and spending during tight budget times. After a presentation on the clerks’ funding corporation budget model by Rushing, committee Chair Sandra Adams, R- Oviedo, zeroed in on reports of clerks distributing hundreds of thousands of dollars in bonuses last year, just as budget reductions forced the courts to cut hundreds of employees. “Can you tell me how many of your clerks — I know of at least four, and think there’s more — that gave out bonuses last year, one being as high as $800,000, another as high as $300,000?” Adams asked. While she didn’t know which clerks had given out bonuses, Rushing said sometimes those payments go to reward employees without raising their base pay. “That’s something that we need to just remember; a bonus is one mechanism, financially, to keep a payroll from inflating into the next year,” Rushing said. Adams also focused on the clerks’ use of outside collections agencies to collect court-imposed fines. “I notice that 41 out of 67 clerks use the same collections company. . .and I believe the woman who owns it is the wife of Dewitt Cason, the president of your association, is that correct?” Adams asked. “That is correct,” said John Dew, executive director of the Clerks of Court Operating Corporation, adding that clerks often will use two or three collections agents to inspire competition among them. Adams responded that she had a list of clerks’ offices, and apart from Miami-Dade County, none of the clerks used more than one collections agent. State Courts Administrator Lisa Goodner and Trial Court Budget Commission Chair Judge Belvin Perry both addressed the committee on the courts’ budget priorities. Representatives asked Goodner to elaborate on the main budgetary difference between the clerks and the courts, namely that heavy caseloads mean more revenue for clerks and less for the courts. Conversely, she said, the budget model for the judicial branch is needs-based. The Legislature determines budget priorities for the courts, state attorneys, and public defenders and the level of resources provided to address increased workload, if any at all. The issue of legislative oversight came up repeatedly, and both sides were asked to speak to it. 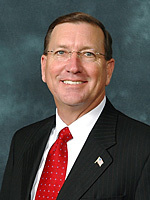 Rep. Nick Thompson, R-Ft. Myers, asked if the clerks would be amenable to having the Legislature review their budgets. Goodner said it’s “absolutely” the Legislature’s responsibility to oversee the spending of state funds allocated to clerks.